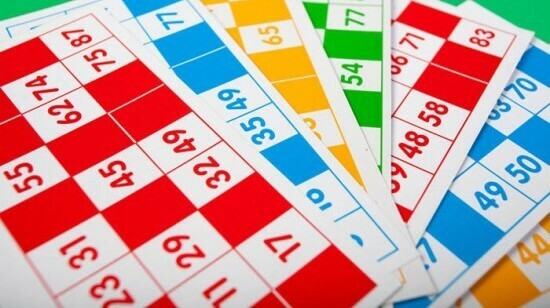 Bingo is a game of chance where every player has a set of numbers on a card. A Random Number Generator (RNG) picks out numbers according to which the players mark the card, and whoever finishes marking all the numbers first, wins the game. This game is very popular amongst players in many nations like the U.K., Australia, New Zealand, and the U.S. 90 ball bingo is the traditional game from U.K. There are also many other variants of the game like 75 ball, 80 ball and 30 ball. In this variant, the card contains twenty-seven squares made by 3 rows and 9 columns. Out of the 9 squares in each row, four are blank and five are filled with numbers. Similarly, each column has 3 squares, out of which any one, two or sometimes even all three could be filled – it varies according to the numbers called up. The 9 columns contain numbers in ascending order, the first column can have any three numbers from 1 to 9, the second can have numbers between 10 and 19, the third can have numbers between 20 and 29, and the fourth column can have from 30 to 39 and so on. The last 9th column contains any three numbers from 80 to 90. In online version of the game, the RNG randomly picks numbers ranging from 1 to 90 and calls out these numbers one at a time. Whenever the called out number is present on a player’s card, he has to mark it. Most of the online versions of the game automatically mark the called out numbers, without the player manually doing the same. Called auto-daub, the feature can be activated when you want to use it. A typical game will have prizes based on the numbers marked on the cards. Some sites reward players for marking each row completely and for marking all the 15 numbers on the card, called the full house. Online version of the game can also have different types of other winning combinations. When you visit a site providing online bingo, all you have to do is buy the card to start playing. Most of the games will have a fixed schedule. To join a game room, you need to first sign up as a user on a gambling site and then just opt-in to the game. You need to buy the cards for the game beforehand and play at the scheduled time. Buying a card is simple. Sites offer a number of cards online. You just have to select the cards you want to play and click on ‘buy’. In a land based variant of the game players are forbidden from talking during game play. But online 90 ball bingo has a special chat feature with which players all over the world can communicate with each other. Whenever someone wins the round other players can congratulate them through chat messages.